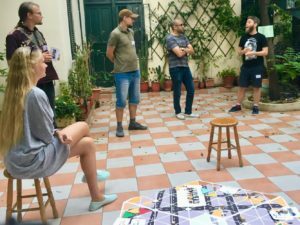 We were get the opportunity of testing the Urbanity board game in an international scene for the first time on the 16th MitOst Festival, in Athens. Five people were playing with it, each arriving from different countries, so really diverse arguments were being told. We got so much constructive criticism on how we could develop the game even more. 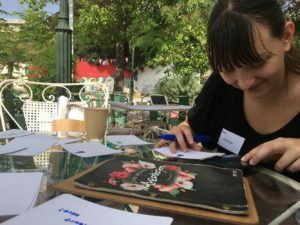 Side of that we were able to explore the surroundings joining different workshops, we made this even more personal with funny little tasks and jumped into the mysterious world of digital storytelling. 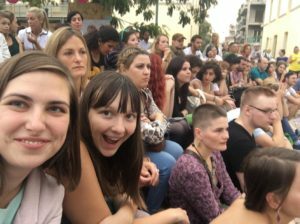 One of the event’s greatest announcements was that the upcoming 17th MitOst Festival will be organized in 2019 in Budapest. We shall meet there!